Washington, DC (October 10, 2018) — Aristotle International’s Integrity division, a pioneer in identity and age verification solutions has added West Virginia to its previous supplier license approvals by New Jersey Department of Gaming Enforcement and Nevada Gaming Commission. Utilizing Integrity’s unparalleled age and identity verification solution, online sportsbooks, casinos and poker sites can ensure that minors do not have access to this adult content. 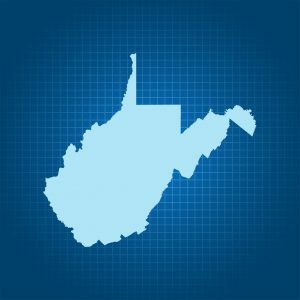 West Virginia is the third state for Aristotle to be approved as a supplier and one of West Virginia’s first interim supplier licensee to be approved for identity and age verification. Aristotle provides this service without a lookup mark on a user’s credit report from the casino or sportsbook. Aristotle also provides a check on financial sanctions (“OFAC”) and politically exposed persons (“PEPs”) as part of their Integrity IDV service to help sportsbooks and online casinos and poker rooms combat money laundering. Aristotle will be at the Global Gaming Expo #G2E in Las Vegas. Integrity is a suite of widely accepted identity and age verification solutions. Providing tailored solutions for both commercial and government sectors, Integrity is the most comprehensive and cost effective approach for age and identity verification available across multiple platforms. See more here.